At a recent FREI (Festival of Real Estate Investment) conference in Montenegro, Milorad Vucinic a studio director from IBI+Nightingale (an AF collaborator) talked about their architectural practice’s involvement with the Adaptable Futures project. 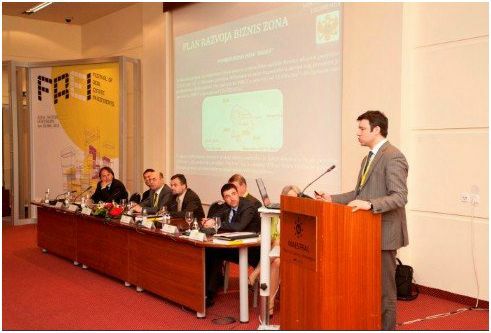 The presentation (a summary of NA’s involvement with AF to date) was a part of the ‘Achieving Sustainability at all Scales’ presentation given by Neno Kovacevic – Executive director of IBI Montenegro who talked about their holistic approach to sustainability at all scales, from master planning to specific projects. Inclusion of the AF project in the presentation was part of IBI+Nightingale’s efforts to include and promote adaptability in their holistic approach to sustainability. 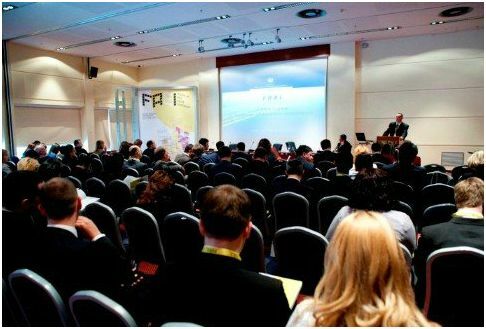 The conference programme included presentations and panels discussing methods for sustainable development and included representatives of major hotel chains and developers, as well as designers, local and from abroad. On the same panel with IBI+Nightingale, Foster + Partners gave a presentation on “Sustainable Architecture: Current Designs and Future Thinking”. Images are taken from the FREI website.